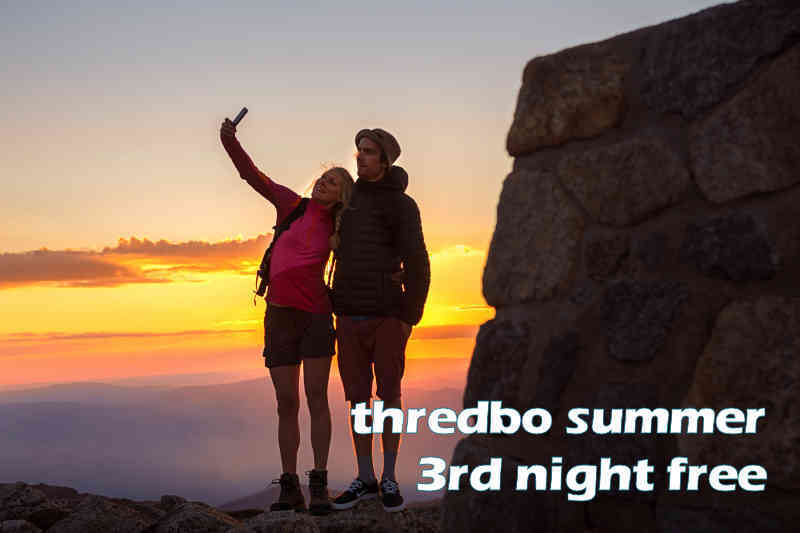 Whether you are staying in Thredbo in the Snow Season or the summer season, we have some excellent value accommodation deals available. 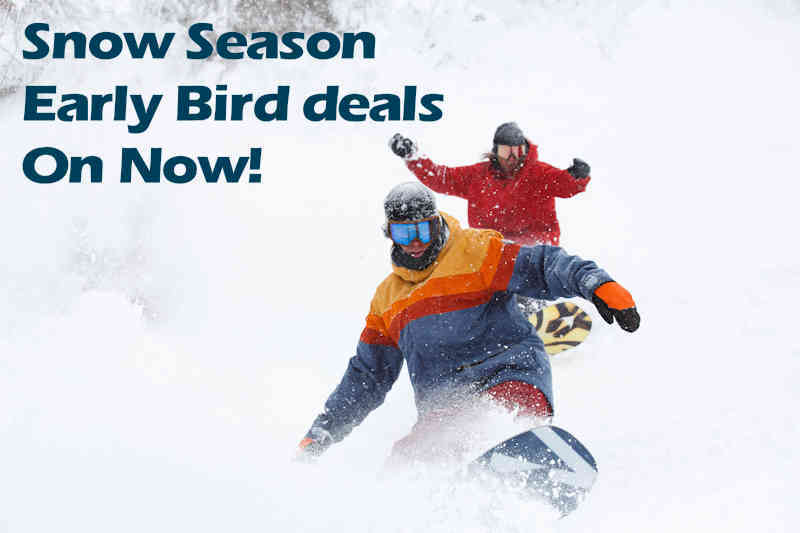 Book our Early Bird deals for the Snow Season and save up to 30% on Nightly Accommodation Rates. In the summer season you can book our 3rd Night Free Deals. 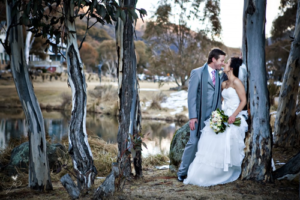 If you are coming to Thredbo with a group or for a Wedding we have group rates available. BOOK NOW and you can still add a lift pass package later. The Advertised Rate shown is for a 1 Bedroom Patio Apartment per person based on twin share. Additional nights discounted off Standard Nightly rates, not weekly rates. > Available for stays for 3 nights or more from the 10th to the 22nd of June 2019 inclusive. BOOK NOW and add a lift pass later. Limited availability in each week, offer may sell out at any time. No Refund for cancellation within 60 days of arrival. Book on our Summer Season 3rd night free special from April 23rd 2019. Pay for 2 nights and stay for 3 at no extra charge or stay longer and save 33% the nightly rates. Special rates are automatically applied from the 3rd night so they don't show in your quote as a discount. 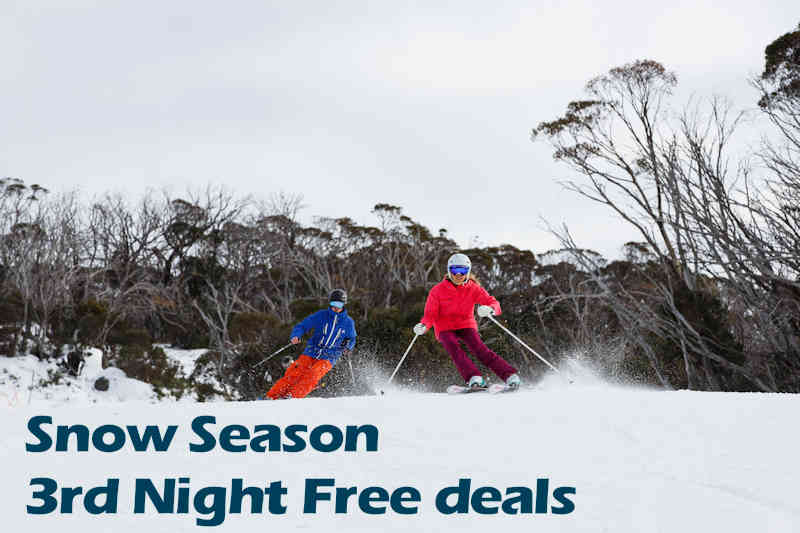 Special Includes: > 3 Nights Accommodation staying > Lift pass and activity packages can be added just contact the Lantern on 1800 020 598 after booking. Not Available December 24th to January 13th, January 18-20 and Easter Weekend. AVAILABLE ON MOST PROPERTIES.... BOOK NOW! 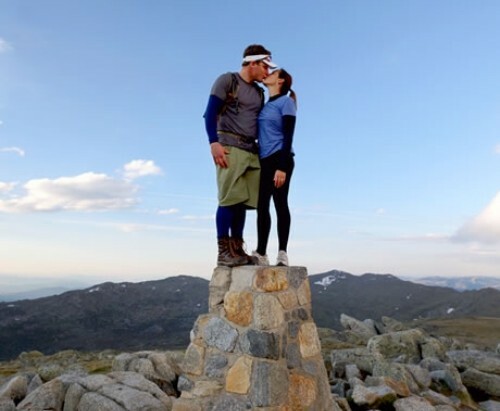 Thredbo is a unique destination whether for a wedding or special group event. With spectacular mountain scenery and several exceptional locations for outdoor ceremonies and functions Thredo Weddings, Reunions and Group events are truly memorable . The Lantern Threbo Apartments has a full range of accommodation options, perfect for group events and wedding bookings. With large outdoor areas for group get togethers and property sizes from 1 bedrooom apartments right through to 4 bedroom chalets we have your group covered. We can also make organising your wedding or event easy by taking care of the whole accommodation booking process and offering plenty of advice of function venues, reception venues and local businesses like celebrants, and photographers. We offer a special discount for groups of 20 people or more with 10% off any available rates, even our 3rd night free deals. Just notify us of your wedding or event date and your guests who call us to book accommodation just have to mention your name to receive the special discount..